Flagstaff is an old Route 66 railroad town, located in the high plateau of the San Francisco Mountains. The city has the second highest altitude among metropolitan areas, and thus escapes the desert heat associated with much of Arizona. Serving as a gateway for the Grand Canyon National Park, the predominant industry is tourism, supported by motel and restaurant strips. Downtown is clean with a strong Western feel. Downsides include a fairly undiversified economy, but the area’s recent popularity as a Sun Belt alternative has brought new business and Flagstaff has completely reversed its previous negative economic trends. Unfortunately, this growth has brought with it higher living costs. Northern Arizona University adds a college-town flavor, the population is the best educated in the state, and there’s an overall youthful spirit. The area, with its pleasant, healthy climate most seasons has become more of a retirement destination as well. Home prices, while reasonable for the region in general, have risen fast as they have through most of Arizona. The area has reversed some of its prior negatives and represents a good blend of lifestyle features, hence the dramatic jump in rankings. The negatives of growth and cost, however, bear watching. The highest mountains in Arizona surround Flagstaff. Local vegetation is mainly desert scrub, grasses and small trees, with coniferous forests in the nearby mountains. The landscape is generally attractive but a bit sparse in the immediate city area. The climate is decidedly high-altitude semiarid. Cold nights prevail year-round—at 200+ days per year, Flagstaff drops below freezing more often than any other metropolitan area. Summers are mild and pleasantly cool with moderate humidity and a considerable diurnal temperature range. Temperatures often rise above 80 degrees and may reach 95 degrees. Winters bring snow cover, clear skies, and below-zero temperatures. Two distinct precipitation seasons occur in winter and late summer. First freeze is late September, last is mid-June. 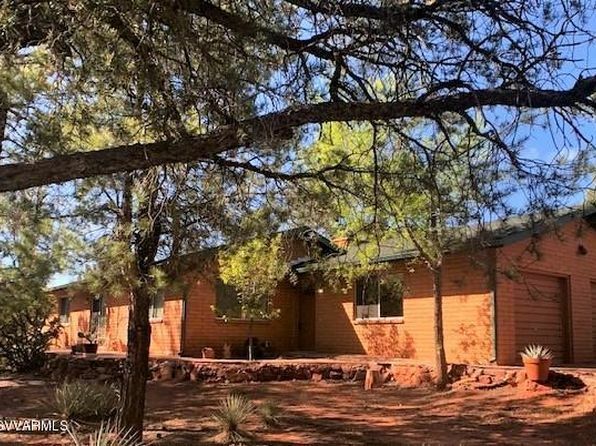 The median home price in Sedona is $501,500. Browse Homes in this Range. 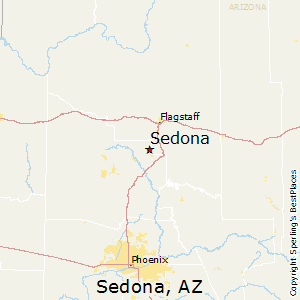 Compare Sedona, Arizona to any other place in the USA.